As our next @CAPuk course begins, let’s pray for new beginnings at #CAPLifeSkills. Father, give us the eyes to see where your Spirit is at work, the ears to listen, and the hearts to share your love. May our preparations go smoothly, and may you draw people to us. Help us be your hands and feet. Help us bring new beginnings in Braithwaite tomorrow. 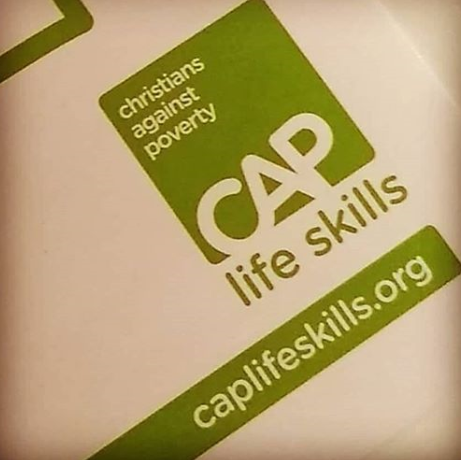 Our second Christians Against Poverty (CAP) Life Skills Course started with a taster session at midday on Thursday 24th January, at the Keith Thompson Centre (KTC) in Braithwaite, Keighley. Our last course was excellent fun! We learned how to stay healthy and make our money go further. The eight-week course is designed to give you confidence and decision-making skills to live well on a budget. We start with lunch every Thursday, and some weeks we have social events too. Or, drop me an email: anthonybennett@caplifeskills.org. Halfway through the first CAP life skills course already!